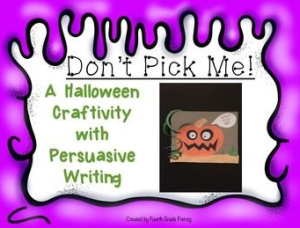 Home » GRADE LEVELS » 2nd Grade » Halloween Craftivity Don’t Pick Me! Halloween Craftivity Don’t Pick Me! Great persuasive writing task with project! Click HERE for this fun activity!